In addition to its standard products, SAFI designs, qualifies and manufactures tailor-made solutions to closely address the problematics of its customers. 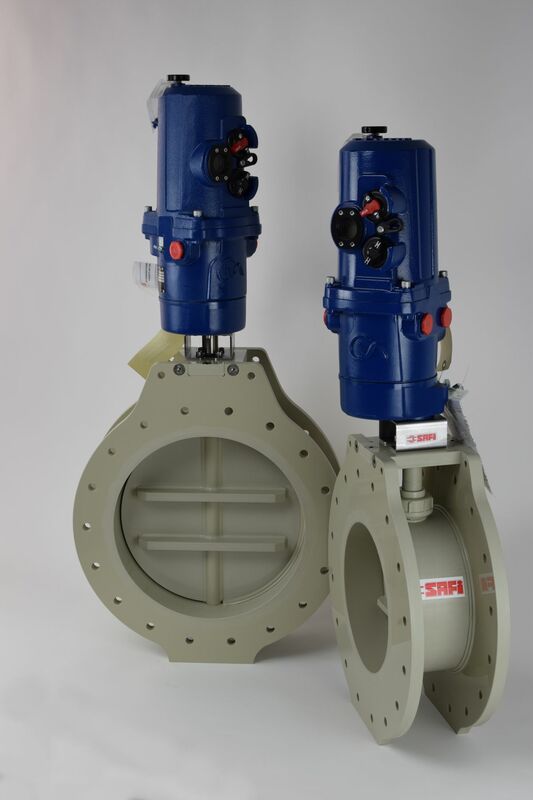 Whether the personalization of an existing valve or the complete development of a new product, SAFI puts at your service a methodology proven by 50 years of experience in valves. Through the expertise of our R&D department, you obtain a solution tailored to your specific needs and the assurance of a support before, during and after the installation of the product. Explain your project to us ! 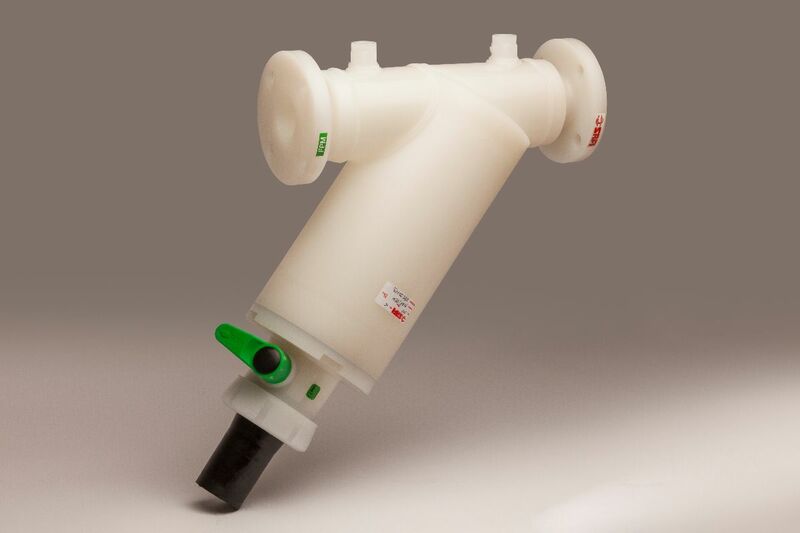 Why develop your plastic valve with SAFI ? 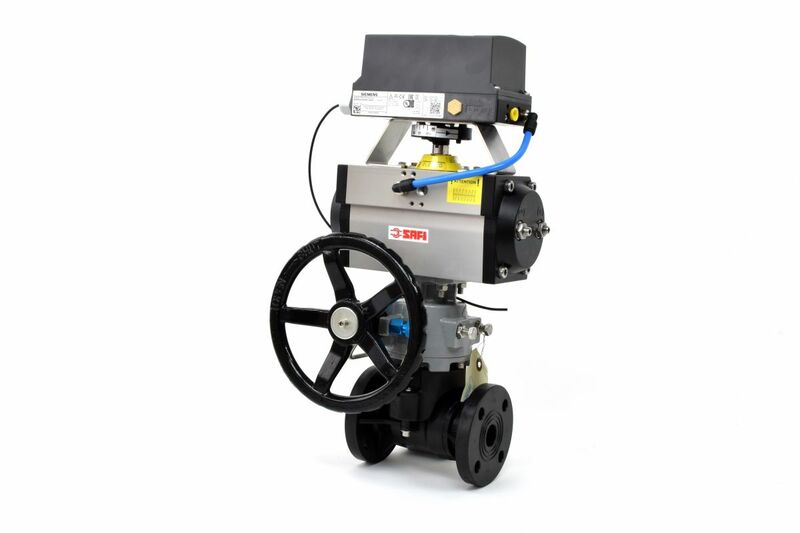 A real valve manufacturer with a history of proven design & production of plastic valves. Qualifying products to the highest standards, while remaining reactive and close to you. No subcontracting, your product is handled from A to Z by SAFI. Our goal is for your product to be easy to use, robust, versatile, light and corrosion resistant. The various constraints of industrial processes could have an impact on the valves : Size, engine standardization, protection of operators, type of connections, etc. We believe that adapting our products to your constraints is an essential part of our job. 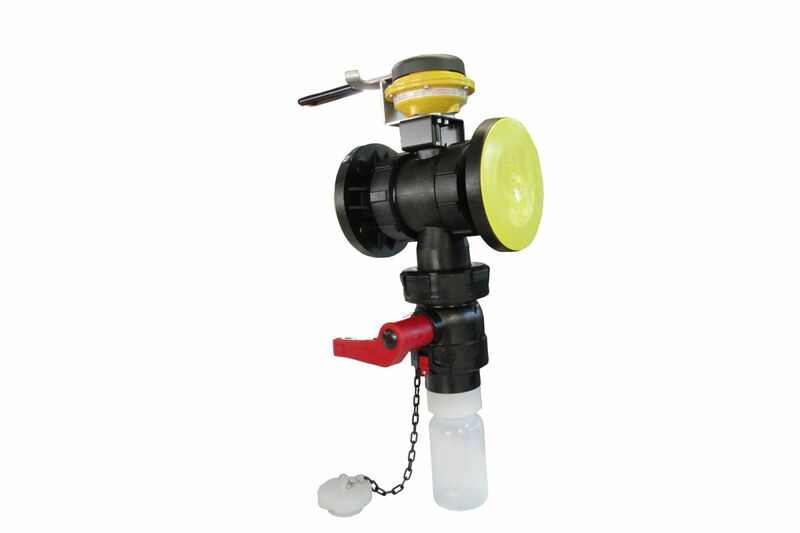 Ball valve with manual emergency control and a SIEMENS positioner. 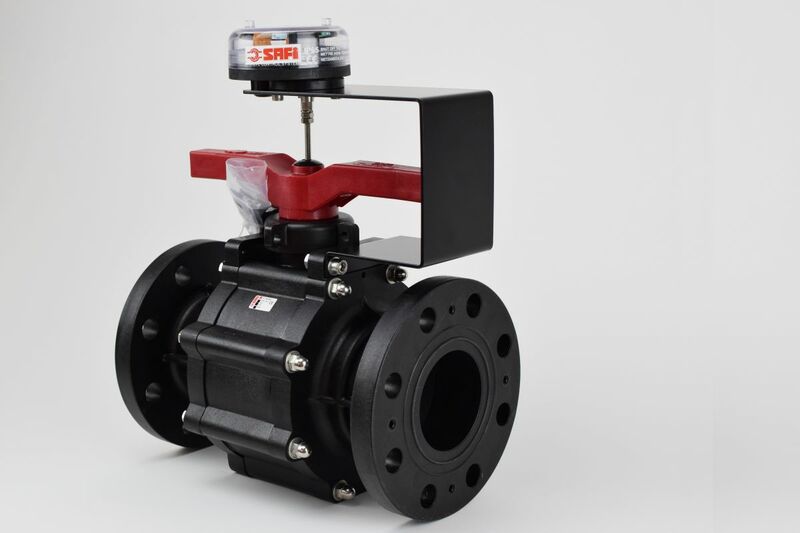 With a unique know-how that is well known in the market, SAFI is one of the few plastic valves manufacturers to offer its expertise in the design and production of valves completely tailor-made. 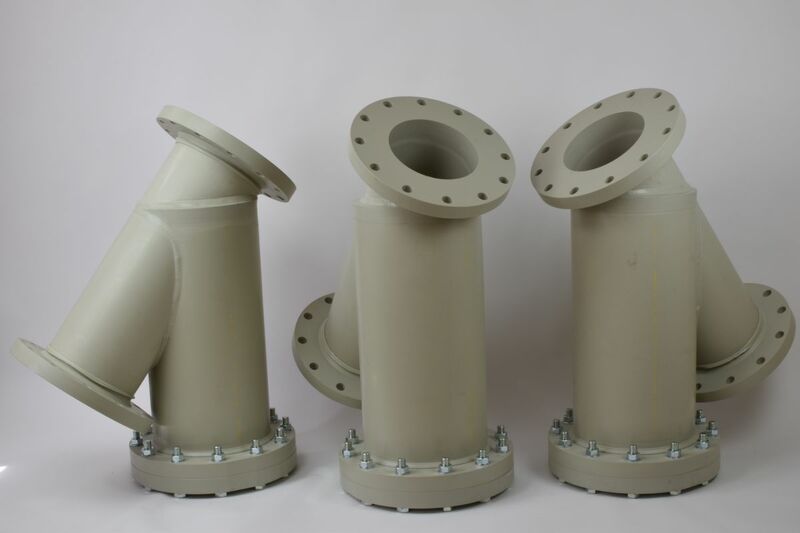 Our services go from the establishment of the technical and industrial specifications until the production of the valves, each project being personalized according to the requirements of our client. 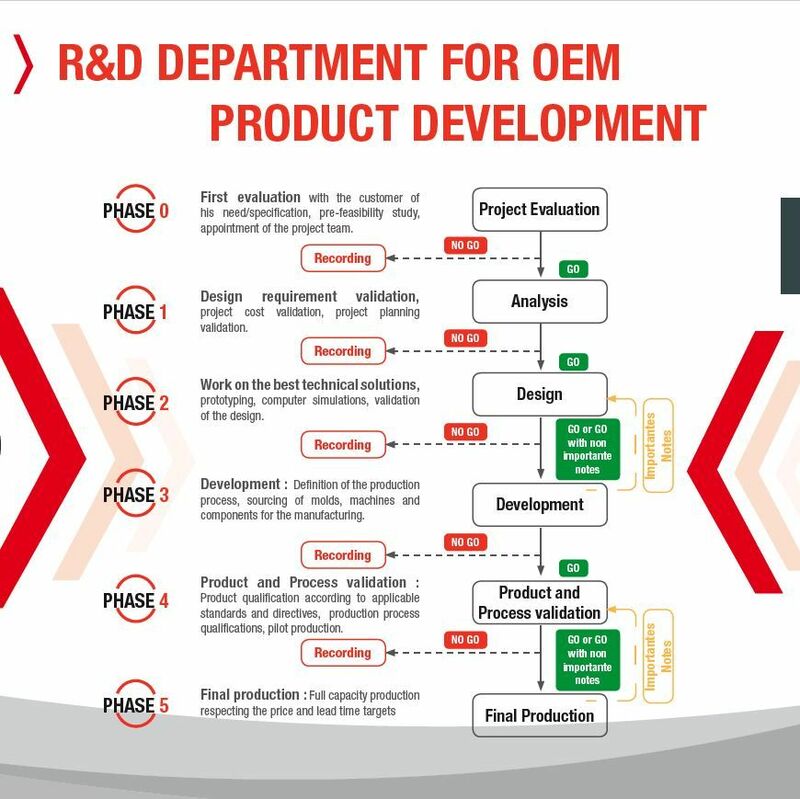 This way we can assist you in the different phases of your projects in order to optimize your processes and contribute to the improvement of your performance. Implementing our expertise in plastic valves, our capacities in design, simulations, and trials, and our production tools, we produce every year thousands of tailor-made valves designed for the applications of our clients. Our methodology enriched by more than 50 years of experience and an integral part of our ISO processes allows our customers to control at every moment the progress of the project and to participate in major decisions. Would you like to know more or have a tailor-made quote ?